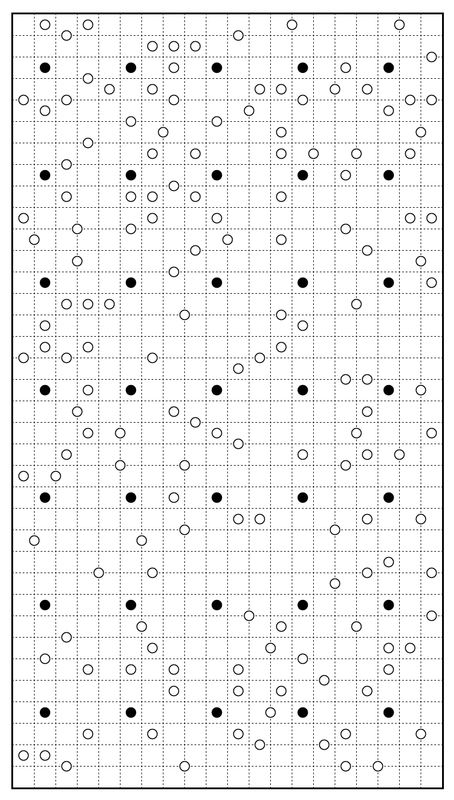 We haven’t had many puzzles from Palmer Mebane recently (in part it seems he mostly constructs for World Puzzle Championship preparation), but this WPC prep puzzle — Skyscrapers (with Sum Baskets) — has a very elegant logical solving path that our solvers appreciated. 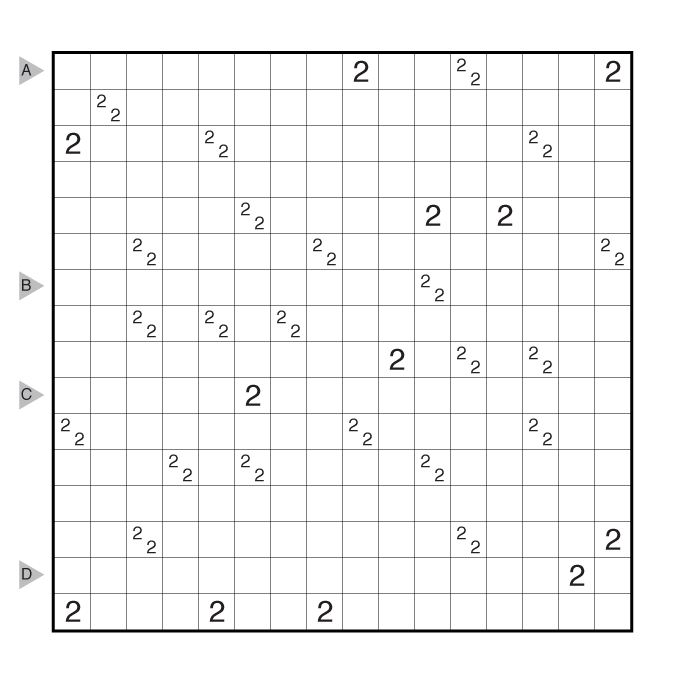 Regular contributor and grandmaster Grant Fikes shared this Kakuro (Gapped) puzzle that also earned a good number of FAVE votes. Murat Can Tonta won another best of award for this Thermo-Skyscrapers combination which, like some prior examples, avoided needing to give any given numbers to get its logical solution going. The presence of only three short thermos outside the grid was a cute new twist on this style. 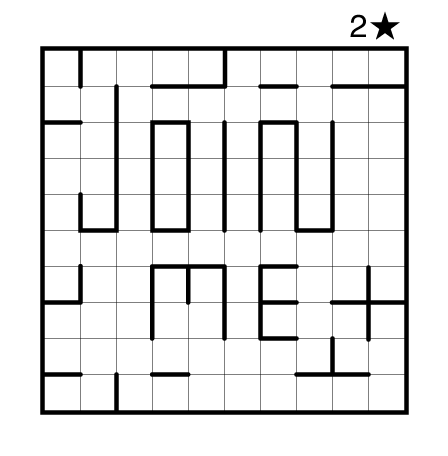 Our runaway winner in the category though, and the runner-up for Best Puzzle of 2018, was this TomTom (Mystery) written by Thomas Snyder as his 300th post here on the site. [Breaking third-person self reference:] While I haven’t had the chance to write as many puzzles this year, focusing more on editing, it was great to receive recognition from so many of you for this milestone puzzle. Our first Best of Object Placement puzzle is this Statue Park from guest contributor Joseph Howard which has some very interesting logic to its solve connected to its theme of symmetric corners. 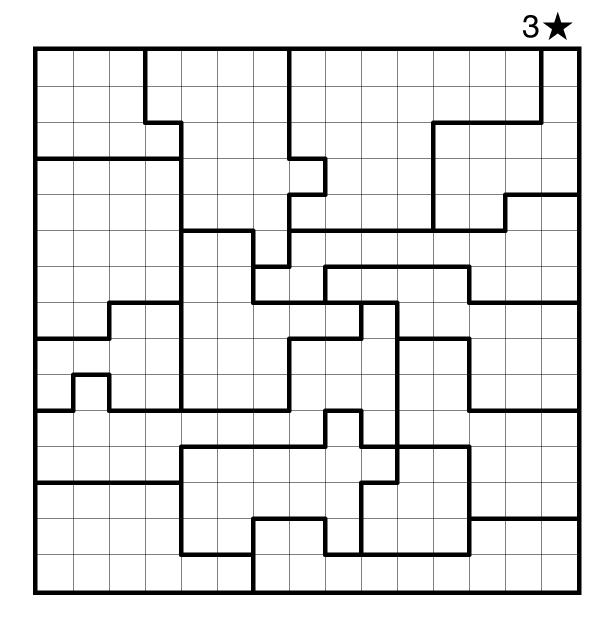 Serkan Yürekli won another award with this Connected Regions Star Battle, taken from his excellent Intro to GMPuzzles title which is a great way for beginners to learn about our styles. 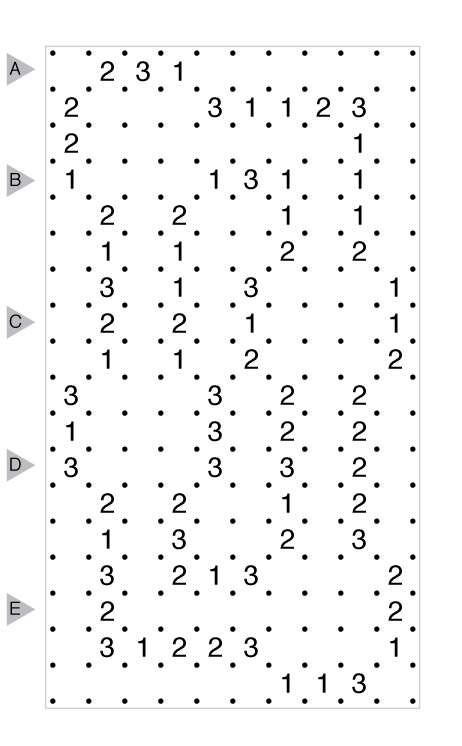 Murat Can Tonta tied Serkan’s Star Battle with this “classic” Star Battle of his own design with a larger grid and more stars to place per region. The Best of Object Placement, and the Best Puzzle of 2018, went to another creative new challenge from Murat Can Tonta that allowed solvers to build their own Star Battle and then solve it. 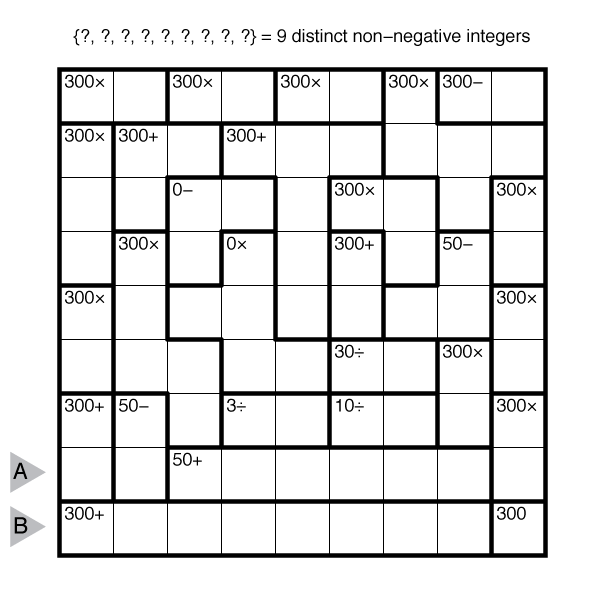 Can you JOIN ME in finding the unique answer to this extra special puzzle? 2018 marked the start of Serkan Yürekli doing a lot more work editing and helping the site in other ways. One of these additions was bringing in a lot more puzzle authors including some of our youngest contributors to date. Guest contributor Yunus Emre Büyükkale received a best of prize for this 1ST-themed LITS on the site. 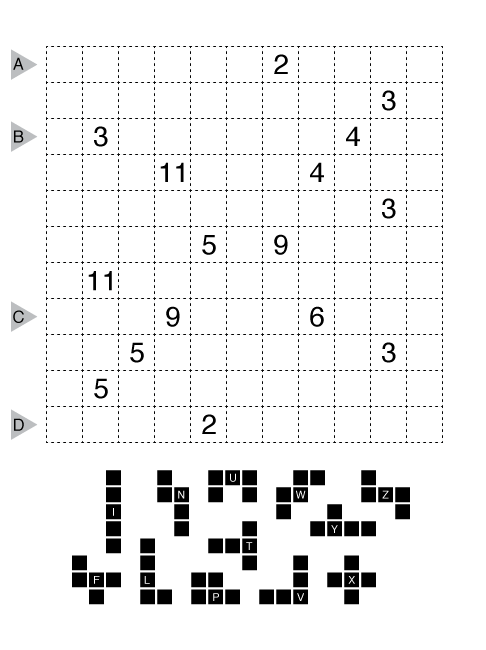 Serkan also continued sharing great puzzles including his original creation Tapa. 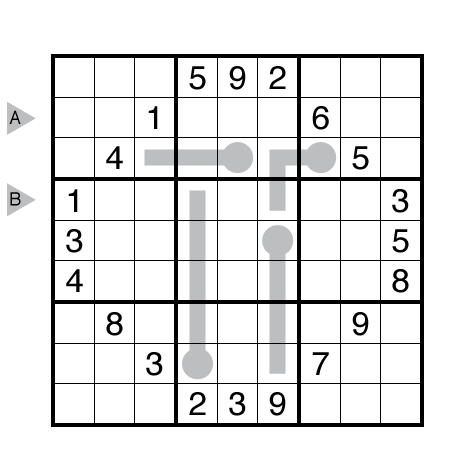 This particular Two-focused Tapa puzzle that closed out a week with a lot of two-clue Tapa puzzles was one of our best shading puzzles of 2018. 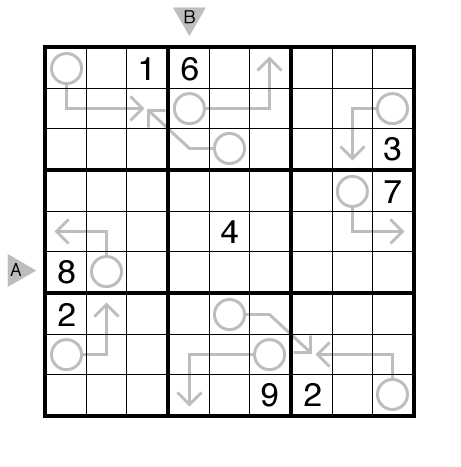 This Outside Nanro by Carl Worth was a really fresh variation with a good solving path and earned recognition as well. 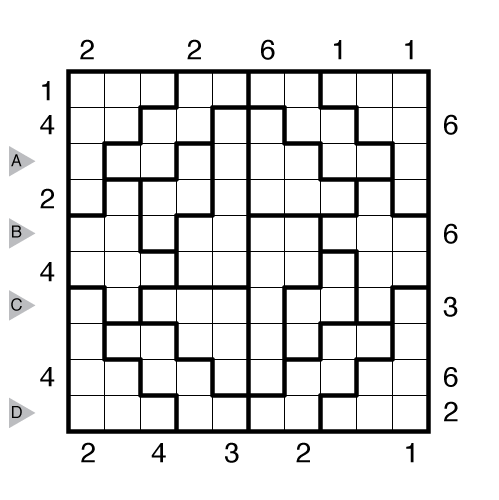 However, our best shading puzzle comes from Prasanna Seshadri with another take on the idea of Tapa and Two. 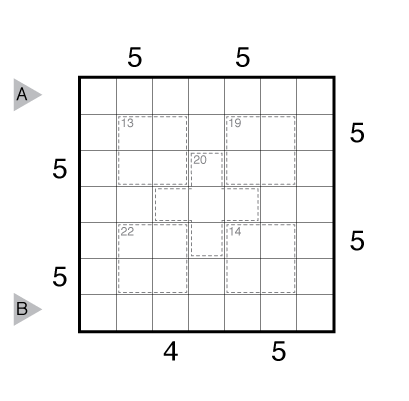 Only in this “Twopa” it is that the given grid can lead to two specific answers if none of the clues have repeated shading around them. Looking across each month of posts, we find that the last couple months of the year always receive fewer votes. 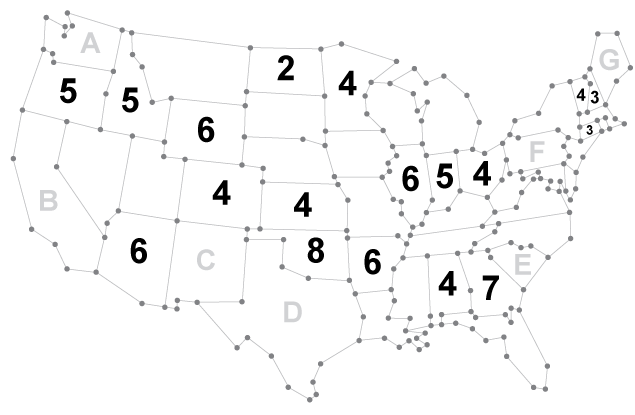 This isn’t that hard to understand when you consider we posted 311 puzzles in the year so some solvers will fall behind / catch up at different rates with our publishing scheduling. We take this into account by looking at relative FAVE rates towards the end of the year to identify any outliers. A few puzzles then stand out including this Spiral Galaxies with a hidden message from Grant Fikes that we posted a couple weeks ago. 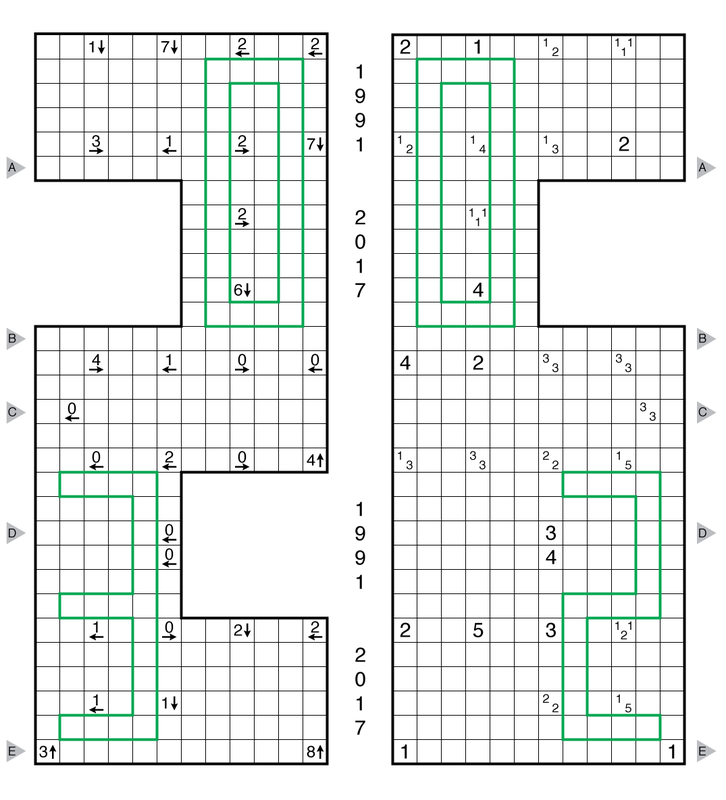 Two Cave puzzles received top marks this year, starting with this variation Formed Cave including pentominoes by Serkan Yürekli. 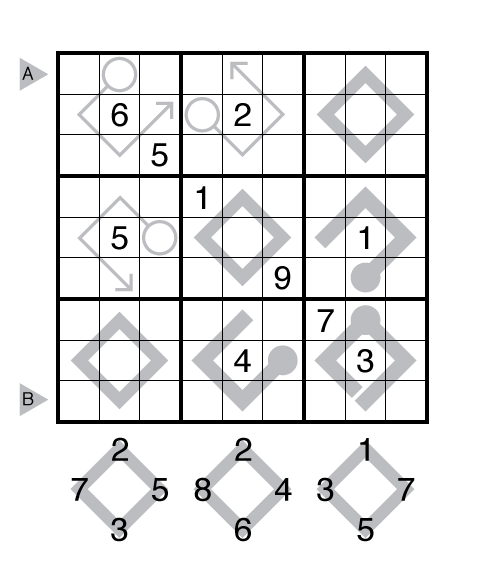 The other top Cave puzzle in this category comes from Murat Can Tonta where a logical theme might lead to a fun surprise at the end? 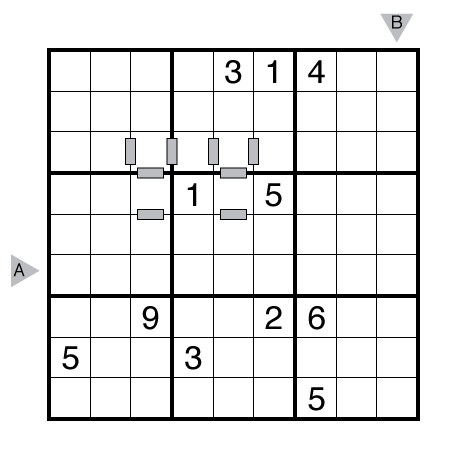 While we post bonus puzzles each week, only our subscribers get to solve them so it is very rare — even though these can be really great puzzles — for them to win enough votes for consideration for the Best of prizes. The challenging Roller Coaster by guest contributor Joseph Howard is the one bonus puzzle to win a Best of award for 2018. 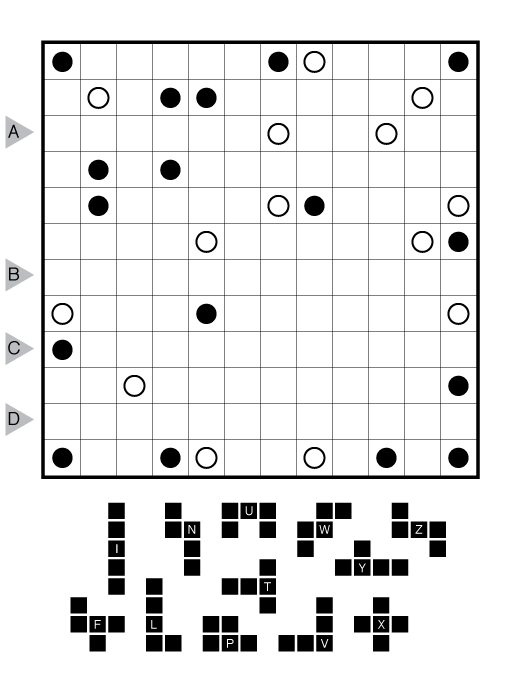 This regional Yajilin by Murat Can Tonta got a lot praise from our solvers with an easy start that draws you into the variation style but a challenging conclusion. 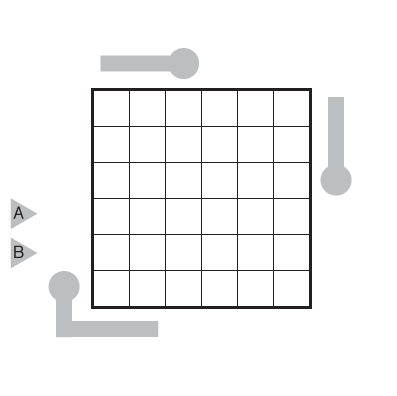 Another gem from Murat Can Tonta came in the form of “Circuitous”, a large Slitherlink puzzle with no zero clues and a fun solving theme. 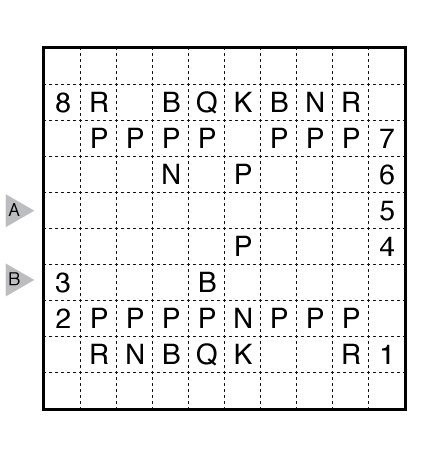 But winning the category was the puzzle that posted the next day and was called an “Early candidate for puzzle of the year” by one of the commenters. 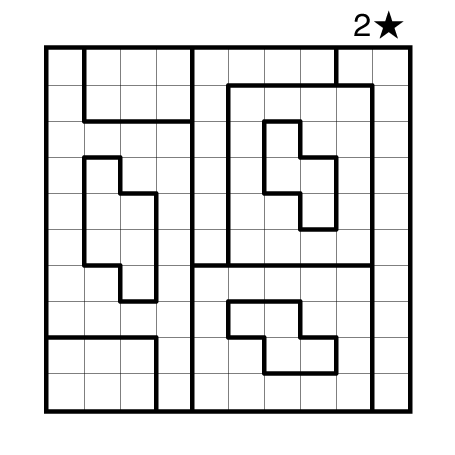 This Slitherlink grid variant from Serkan Yürekli ultimately got the third most votes for all of our puzzles across genres. 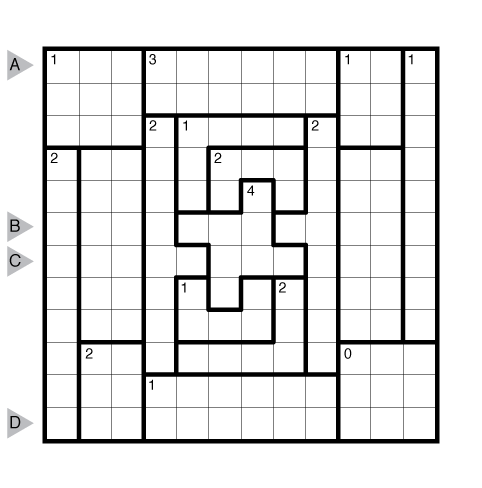 It is an incredibly original idea for a loop puzzle that has many of the properties of our best puzzles: visually engaging, to make you want to solve it, and then a complex and interesting logical path that rewards the time spent when you reach the solution. 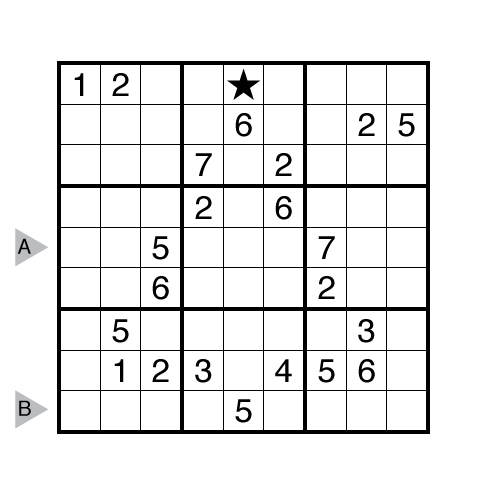 Here are the two best Sudoku puzzles of 2017, as well as our best “Extra” puzzles. 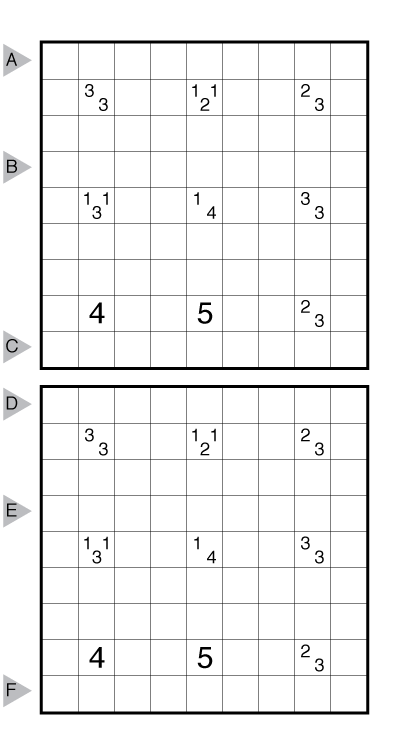 We only had 13 Sudoku posted this past year but will have many more in 2018. 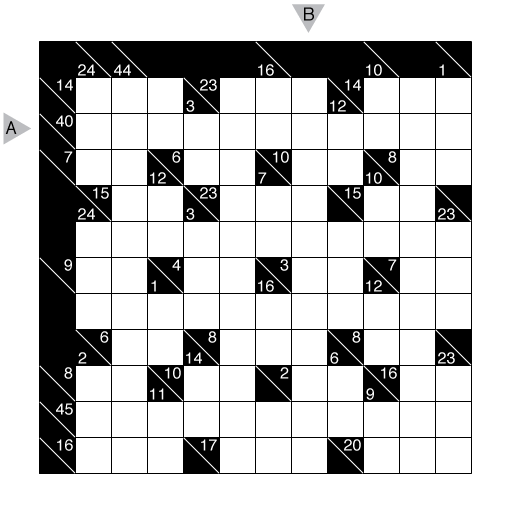 One of our patrons requested this unique combination of Arrow, Shape, and Thermo-Sudoku by Prasanna Seshadri, and it was a fantastic puzzle. 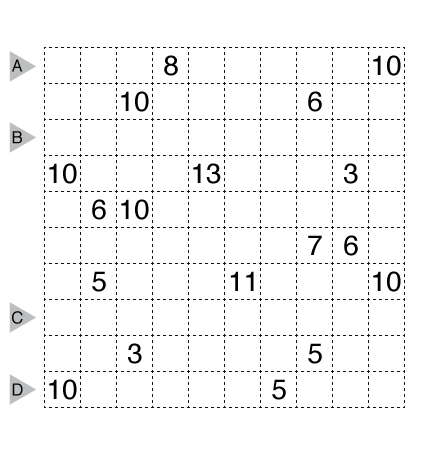 The highest-rated Sudoku for 2017 was this challenging Killer Sudoku by Serkan Yürekli. 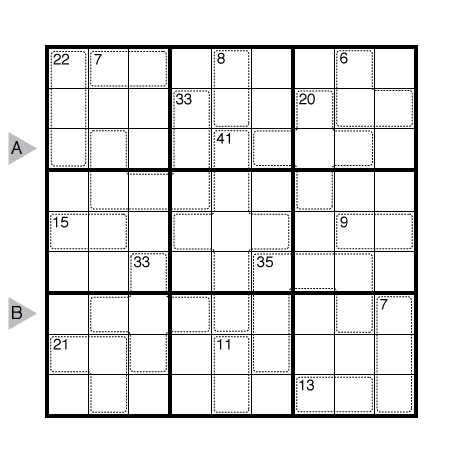 In addition to our usual puzzles, we sometimes had larger combinations, hidden puzzles, or puzzle hunt style puzzles. Both of the below “extras” got top marks from our fans. Prasanna returned for his usual “Birthday Surprise” on March 2nd with this combination of Yajisan-Kazusan and Tapa. 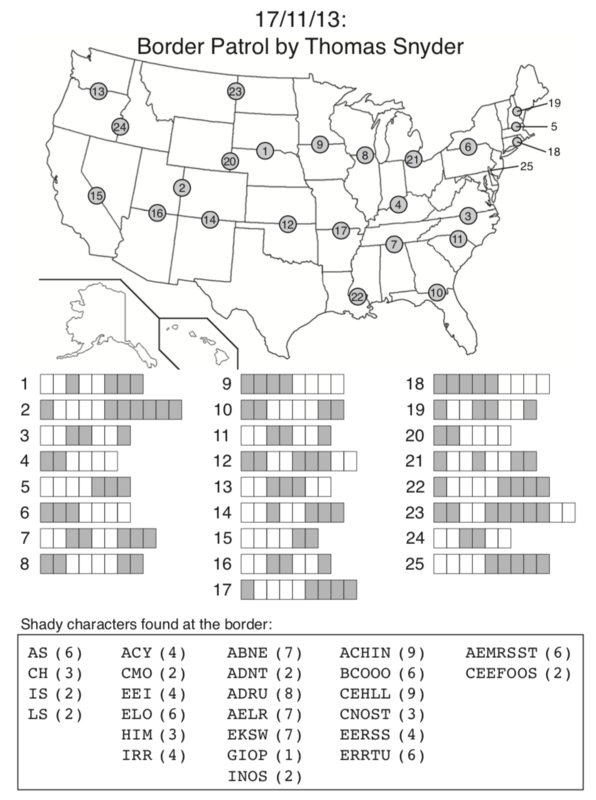 Our other best Extra puzzle was “Border Patrol” by Thomas Snyder, a puzzle hunt puzzle without any instructions. 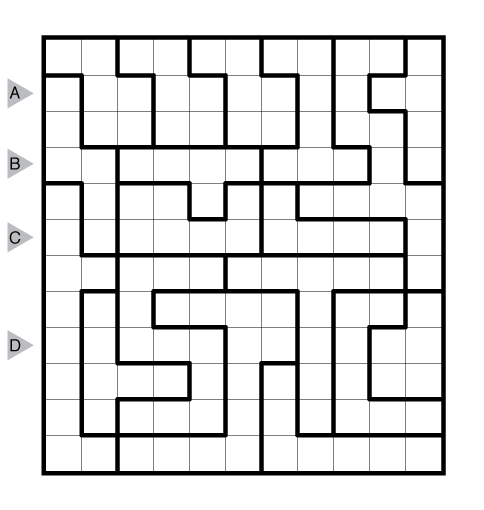 With that, we’re done with the Best of 2017, and you can find all of the puzzles in this PDF.